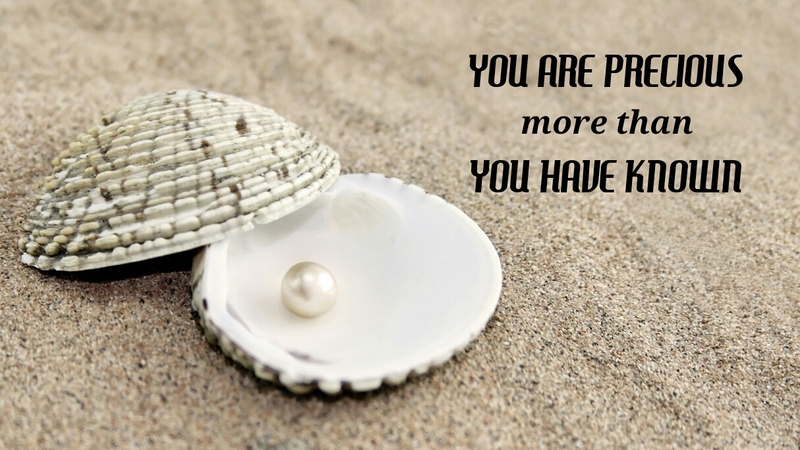 That you are more precious than you have ever known! Have you ever felt that there is “something” that is lacking even though you have got everything you want? 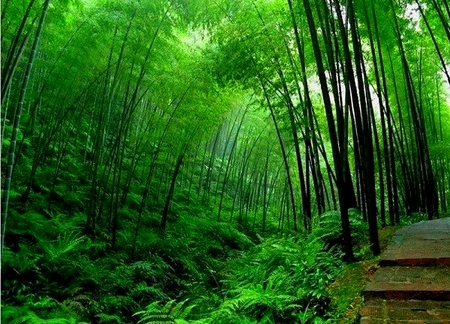 Have you ever felt you should be on a particular path or have to do something that you may not know exactly what it is, but you know that you are prepared for it? Does your heart flush with desire to be an extension of God’s hand more than you have been doing? I call it all “the spiritual hunger and thirst” that coming out of our souls and spirits that wants God. This hunger and thirst for God will push us to seek God, draw nearer to God, and find His calling. We are designed to live in God’s call, and for that God has equipped us. If we think we have developed all of our potential, we are wrong! For surely God has invested in us a much greater potential than what we already know today. But we will not find it until we give our whole lives to enter into the plan that He has set apart for us from the beginning. The psalmist paints beautifully how God knew us long before we could know Him. There are at least two things we can get from this Psalm: WE ARE VERY PRECIOUS FOR GOD and WE ARE IN THE PLAN OF GOD. Man is the culmination of God’s creation. Every human being is created personally, not mass production, not copy and paste. Behold, no human being is physically identical to any other human being. Timbre sounds, face details, pupil color, hair, fingerprints, and so on. Even twin brothers still have differences. It shows how creative our Creator is, and how special every one of us is! If we are so special to God, then there is no reason for us to disrespect ourselves. Therefore one of the fundamental things we must do is to fully accept our existence. This isn’t “accepting” in the sense of tolerating and compromising our weaknesses and sins by reason of “this is what I am”. No, this isn’t like that. To fully accept our existence is: on the one hand to realize our weaknesses, but on the other hand we also appreciate our existence as God’s grace, whatever and however our condition. God knows our weaknesses and ugliness, God knows all our sins, but God still loves us. The Lord Jesus describes His love for us as the Father’s love for Him: I have loved you just as the Father has loved Me; remain in My love [and do not doubt My love for you]…… No one has greater love [nor stronger commitment] than to lay down his own life for his friends. (John 15:9,13 AMP) The Father is willing to give His beloved Jesus to save mankind and Jesus willingly laid down His life to do the Father’s will, so that the man who has been separated from God by sin can again have fellowship with Him and enjoy His love. Therefore the most important thing we have to make is whether we have accepted Jesus as the only Savior and the only God in our lives. Only by accepting Jesus into our hearts will we discover the true meaning of ourselves. But the story doesn’t stop at the moment we receive salvation. Furthermore, we must live according to His way so that we may find His calling for us, that is a special work that God has prepared beforehand. In His omniscience, God has known our way of life from beginning to end. He works in everything with perfect calculation and planning. He assigns everyone to be born in a particular era and year, in a particular family, to a particular nation, and gives us the uniqueness that characterizes us. All there is purpose and reason, not random and not coincidental. You and I … are in a part of God’s whole plan for the world. The people of God are called to be specifically involved in His plan according to His timing and in harmony with the uniqueness that He bestowed upon each one of us. In the beginning, David was no different from most of the Israelites of the time. He wasn’t a famous person. He was just one of thousands of people. The youngest child who wasn’t too calculated, even by his own parents. David had reason to feel rejected, inferior, or became a rebellious person. But David chose to build a relationship with his Creator. This continued until he became king. He chose to be close to God in his success and in his failure. The result is as written by Luke: David had served God’s purpose in HIS OWN GENERATION. Even David’s life became the standard for kings after him. “He did what was right in the eyes of the Lord, just as his father David had done.” (2 Chronicles 29:2 NIV) We can find some similar verses in the Bible. Not only King David, our Bible is full of God’s work through ordinary people God used: Noah, Abraham, Moses, Jacob, Joseph, Elijah, Elisha, Gideon, Ezra, Nehemiah, Esther, Peter, Paul, and many more. They’re members of the community with various professions and backgrounds. They weren’t perfect people. They had flaws and weaknesses just like us, but they’re willing to be processed by God. They associated with God, found and received God’s call. They wanted to dedicate themselves and committed themselves to living in the call even though they had to let go of their own dreams. The Bible records their lives weren’t in vain, useful to their own generation, and God used them to do great things beyond their existence. I am sure that they are the people who arrive at the end of their lives with satisfaction. Not because they become rich, famous, or powerful, but because their conscience bears witness that they had lived according to the God’s plan. They’re the ones who did the God’s will in their era. How about you and me? Have we lived in His plan? God equips all human beings with various potentials, but what distinguishes us from those outside Christ is that each of those potentials must be used according to God’s will. Not to fulfill our ambition, but to please God. Not for our pride, but for the glory of God. Not in a good way according to our thinking, but must be in accordance with the word of God. The ultimate goal isn’t for ourselves but to bring many people to Christ. Are the above statements idealistic and theoretical? It could be, but that’s what it should be. I’m sure Christians already know about it, but we have to be honest that it’s not easy to apply it. We must endure the suffering, surrender constantly, humble ourselves, submit ourselves and learn to obey God’s decisions, and abandon the things we love but are disliked by God. For some, it can mean giving up their dreams. The road to go is heavy. Some Christians choose to avoid, some give up and retreat in the middle of the road then turn to follow their own desires. It’s a pity, because they’ve let go of the opportunity to get the priceless pearl of life up ahead. Nowadays wherever we are on the journey with Christ, don’t get tired to deny ourselves and take up the cross. Let’s be strong to walk to the end while continuing to hold on to God’s promise. God doesn’t leave us alone. He has given the Holy Spirit as a Helper and Comforter. He will guide us to the whole truth (John 16: 13-14) so that every decision we make in this life can be in harmony with God’s decision. The more we obey and diligently walk according to the direction of the Holy Spirit then the potential that has been planted by God from the beginning will emerge and grow. Even God will add new talents along with our increasing responsibilities and in harmony with the extent to which we can be trusted by God. One day when we look to the years we have passed, we will realize how amazing the God’s works in our lives is. Maybe we aren’t as prosperous as our brothers, don’t have positions as high as our friends, and not as successful as others in the world eyes. But “strangely” our souls and hearts abound with satisfaction and joy. A satisfaction and a joy that can’t be measured by the doses of the world because it doesn’t come from the world. It’s the true satisfaction and joy that comes from the Holy Spirit because we have been living in His calling. How precious … How honorable … In our life that is only a blink of an eye in this perishable world, we – who are actually unworthy – are given the privilege of being fellow workers in the field of God. Ultimately we aren’t “just” being saved Christians, but also bringing others to salvation through every potential of our lives. How special are you and me. That is the true meaning of ourselves and our lives. This entry was posted on June 25, 2018, in Christianity, Thought and tagged christianity, faithful, faithfulness, future, generation, God, God's call, God's creation, God's decision, God's plan, grace, happiness, heart, heaven, Holy Sprit, hope, human being, Jesus, joy, king David, Life, mankind, pearl, problems, process, strength, suffering, surrender, talent, true peace. My beloved friends, this post inspired by Audrey’s story. This’s about rejoicing. Do we’ve rejoiced today? Maybe we’ll easily answer “Yes we are!” if our living conditions are safe; running well and there’s no problem at all. But do we still easily say we’re rejoicing when we’re in difficult situation Like Audrey for example. Do we still have joy though we’re under the pressure of hard problems? Generally, people associate joy/ rejoice with a feeling in a condition where there’s no suffering and problem. It means the joy for the majority of people comes and depends on their conditions that are being experienced. Many people also think that it’s impossible keep rejoicing in the midst of suffering. After I heard Audrey’s story my mind drifted away to one of the great figure in the Bible, Paul. 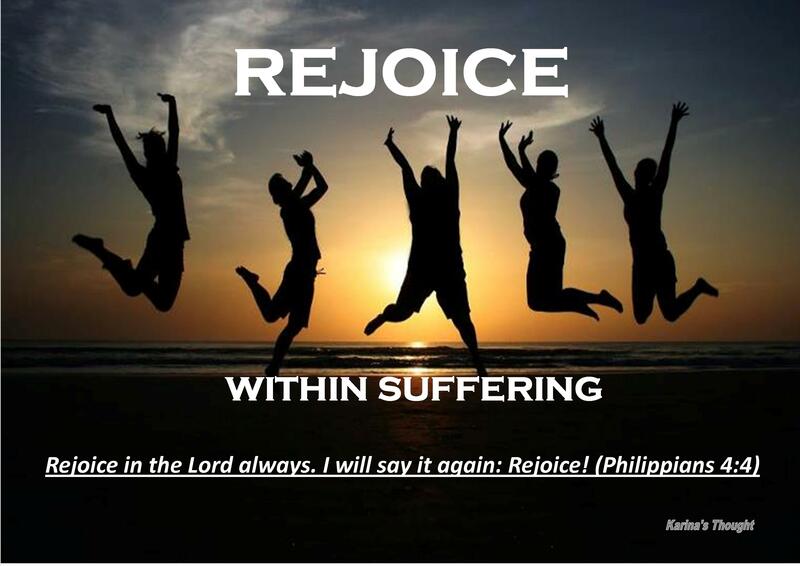 For me, Paul is always can be a good example of rejoicing within suffering. After repented through encountering with Christ, Paul then devoted himself fully to serving God. After having a new life, Paul’s life doesn’t automatically become easier. In his ministry, he met with the severe situations, suffered many tortures, had physical injuries, had mental pressure, and prisoned waiting for the capital punishment. But the amazing thing was all of his suffering didn’t stop him to serve God. Was Paul angry and disappointed to God? Did he grumbling and complain to God why after repenting and serving God he instead had a lot of suffering? No! Not at all! Paul didn’t do it all. What he did while in jail? He praising God, he even wrote many letters to his congregation and his ministry friends and the messages that wrote become an essential foundation for every believer’s life today. The other amazing thing from Paul was that none of his letters contained grunts, disappointment, and sadness. Faithfully he greatly encourages people to remain steadfast and not stop rejoicing. For example, to the Philippians he had many messages to keep rejoicing and he repeatedly said that his miserable condition will not made him stop to rejoicing. My dear friend, when I wrote this post, I stopped for a moment to ponder and imagine Paul’s figure and had questions. How Paul can be like that? How can a man who has served God for a long time still be able to encourage others to remain rejoicing while he had hard suffering in the prison and awaits the coming of capital punishment? Then I read again the series of Paul’s letters and finally I could make a conclusion that Paul directed his heart and mind wasn’t like the worldly people. He didn’t focus to get wealth, fluency, preferential treatment, prestige, or popularity that he might get it all easily before repented. I noted some of Paul’s letters content. From the verses above, we can know and learn what was become Paul’s focus in his life. He focused to be like Christ, he always looked forward continuing to run for the purpose of obtaining a heavenly call from God in Christ Jesus. Though his worldly life was full of suffering and had capital punishment, he didn’t focus on his suffering. He more focus on the salvation that has been obtained through Jesus Christ and he had great opportunity to serve the Lord. I strongly believe this is reasons why he always rejoices within his suffering. Paul put his focus on the right position. This verse above is another proof that when we take refuge in God we will be rejoice and everyone who love God will filled with joy. The key point is “In the Lord” That’s all! So my dear friends, actually as true believers there’s no reason at all we couldn’t rejoice every day because we live and must be always live in God. Rejoice isn’t in and depending on our life condition or circumstances. True joy is always come from God and He’s the source of joy. Then what should we do in order to rejoice within suffering? All we need to do is like Paul did. Put our focus on the right place. Not focus on the problems and suffering but focus on God who has given us salvation. Like a rose and thorns. Don’t focus on the thorns but let’s focus on the rose. It would be better we think and be grateful God put rose on the thorns than we think and grumble God put thorns on the rose*). What does it mean? It’s all about our focus. If we always put our focus on the “thorn” we will grumble and will be difficult to have joy and rejoicing. But if we always put our focus on the “rose “then we will have joy and will always be able to rejoice. Don’t focus one the problems and difficulties because it will hinder us to have joy. Let’s focus on God because there is always joy in the Lord. 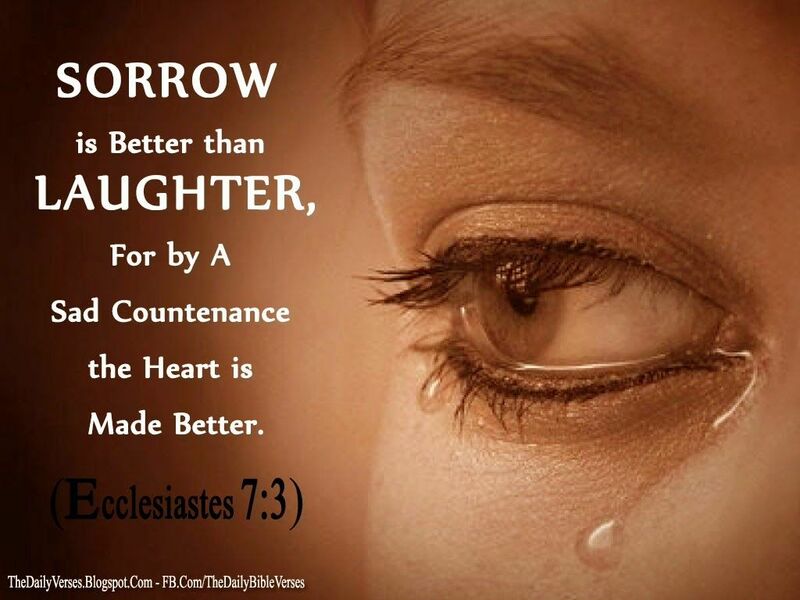 Moreover, we’ve to remember that joy/rejoice in the Lord is our strength. With rejoicing in the Lord then there will be strength to overcome our problems and difficulties. My dear friends, I really now it’s no easy to keep rejoice within suffering. But please remember, we have God who is so good. Let’s stop focusing on the problems and suffering, change it with focus on God. Remember, ponder, be thankful, and rejoice for His existence, His loving kindness, assurance of His eternal salvation, His words, and for what He has done for us. If until now we can still live this life, it’s not because of our strength and ability but God give us strength and enable us to face and overcome all problems and suffering. Keep maintain our relationship and fellowship with God. Let the Holy Spirit always dwell in our heart and let the true joy always shine on from our lives because joy is the part of fruit of the Spirit (Galatians 5:22) Amen. My father once said that one of the happiest things is when his little daughter ran to greet him when he came home after work. Still strongly remembered in my mind when I was 6, every day I ran excitedly with happily shouting, “Daddy…!” to my father. With cheerful face he opened his arms to hug me tightly, kissed me and I kissed him back. After that, with my Mom’s help, usually I made him a cup of hot tea and then I sat beside him. I also still remember, within his tiredness, my dad’s face radiated a tremendous happiness. At that time, I was excited because I could make him happy and wipe his tiredness after work all day long. As a child, make our mom and dad pleased and happy is become our responsibility. Well, How about God our Father in Heaven? Whether we always make Him pleased and happy too? If I always make a cup of tea as a way to make him happy, what we can do so can make God pleased? We cannot run to greet God, and then God will hug and kiss us like my daddy did to me. 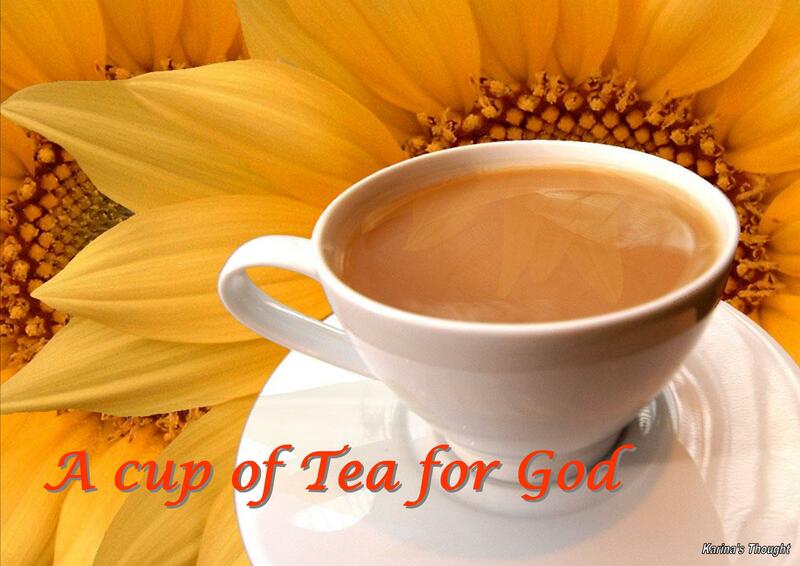 We even cannot make a cup of tea for God. We are not physically near with God. So what we can do? Here, as an example, I chose one of the great Bible figures that said as a righteous man, blameless among the people and walked with God. He is Noah! Noah’s life is always pleasing God and we can learn from him how to make God pleased. At least there are five things that we could get from Noah so that we can please God. Noah always loves God more than anything even when there is nobody loves God. Love God means to have a very close relationship with Him. What about us now? How deep is our love to God? Do we have very close relationship with God? Whether we have been doing the Lord’s command as written in the verse above? Noah fully trust what God told him when He warned about something that has not happened and unseen and when God commanded him to do unreasonable thing. Actually, there are three things that can make Noah did not believe what had God said to him. First, He never sees the rain and before the floodwaters God irrigate the earth from the land. Second, Noah lived far from the sea. How could he bring the ark into the sea? Third, put together the whole animals are not an easy job. But what Noah does? He does not complain and prefer trust to God and have faith that he knows what the best is. God pleased that Noah totally trusts Him. In everyday lives, how deep we trust in God? Do we still trust in God when our lives so hard and there are so many difficult things should to overcome? Do we still firmly trust to God when we should to do unreasonable things? Like Noah, indeed God will be very pleased if in any circumstances we still faithfully trust Him. We should to remain trust that whatever God commanded is the best for us. At the time, when God commanded Noah to make an ark, God does not say, “Noah, Make it a regular boat as whatever you want” But God gave the details of the ark that should to be made. (Genesis 6:14 -16) Then, what Noah did? Beside he fully trust to God, Noah is fully obey to God’s command. He did every single detail as prescribed by God precisely. What about us? What if God commanded us to do something according His will? Do we will obey to doing everything what God wants? Or we would have many questions, raise an objection or we even unwilling to do it all? God will pleased if we remain obey to do all of His word. God will be very pleased if we live our lives with obedience. Have we? Praising the Lord is one form of way to pleasing God. God will be pleased if we have lifestyle that is always praise and worship Him in the midst of our happiness and even sadness, and we do it with wholeheartedly. The first act of Noah after survived from the floodwaters is expressing his thankfulness to God by offering burnt sacrifices. We must know and understand, God is very pleased and love His children if we always Glorify, Praise and be grateful for what God has given to us. This means that God’s will be happy and pleased when we appreciate everything that God has done for us. Are we ready to have lifestyle that always praise and worship Him whatever our situation and condition? Can we always be grateful not only in our happiness but even in affliction? This is the time of Noah to use his ability to continue life. Doing the things that has become God’s plan and provision for mankind. Have a children and offspring, found a family, farming and breeding. So it is with us now, God also wants us to use the abilities that God has given us to do the God’s will and to please Him. There is no reason for us to not be able to do God’s will, because we are not going to bring the glory of God and we are not going to be a blessing if we shame and do not use our ability for the God’s glory. God gives us different abilities beside used for our benefit, God also wants through our abilities always please Him. My dear readers, I will end this post by asking you to ponder these five things: If we have longing to loves God more than anything and make Him as a top priority? Have we truly lean on and completely trust to God? How deep is our obedience to do all His commands? If we already have a lifestyle that is always be grateful and praise God in all circumstances? How we use our ability, if only for worldly pleasure or all we do is just for pleases and glory of God alone? Physically, we cannot make a cup of tea for God, could not run greet, hug and kiss Him. But spiritually we can come to God, living in His providence, feel His warm loving kindness and blessings. And we can make “A cup” of mercy for God filled with full of love, trust, obedience, praise and gratefulness. We make it with full of our ability to pleases God. Are we willing to? Amen. Thank you very much to Sister Anne for your further article. Yesterday afternoon my fiancé was looked at my post about “Forget me Not” flower and then He said to me: “Honey, why you not talks about The Lily? Is not the lily is your favorite flower?” Ah…!! Lily…!! Yes, that is my favorite flower. It flower was always be there around me. No matter where. I put a bunch of lily in my work room, in my bedroom even in my bathroom. Oh my Gosh…! I really fall in love with this flower. “And do you still remember what the meaning of the lily of The Valley?” asked my Fiancé again. “Yes…! Of course. I still remember it and always remember. This flower has a deeply meaning. Especially for us as a Christian “I replied. 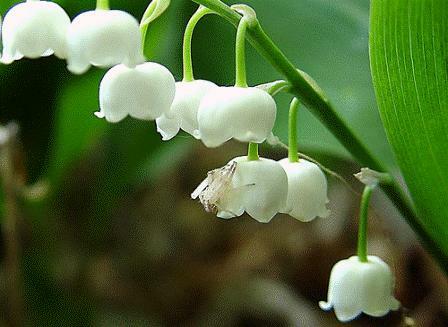 Generally, The Lily of the valley is a symbol of Humility, sweetness, and renewed happiness. In reference to the brightest hopeful season of spring, in which it blossoms, it has been regarded as symbolical of the return of happiness, whilst its delicate perfume has long been indicative of sweetness. I was remembered about a devotional from fiveminutesdailydevotion.com last month. This Christian site talks about Lily of the valley. In Christianity, Lily of the valley is a type of God and Jesus Christ. The Bible mentioned Lily of the Valley 15 times, most often in the Song of Solomon. Since the flower blooms so early in springtime, it represents the Second Coming of Christ. It also symbolizes Eve’s tears shed after she was extradited from the Garden of Eden, Jacob’s tears for his weeping over Rachel and Joseph, and the Virgin Mary’s tears, or our lady’s tears, for the tears shed by Mary at the cross of Christ, tears believed to have turned into the flower. Lily of the Valley is a symbol of purity. Lily is white and white is a picture of purity (Revelation 3:4), Lily also representation of a beautiful picture of the greatness humility of the Son of god. (Philippians 2: 6-8). This Lily of the Valley is a description of a wild plant that would grow up in and among the food crops of the Israelites. It’s presence in the field was unmistakable, because it produced flowers of bright and beautiful colors. These are the same plants to which Jesus referred when He asked His disciples to “Consider the lilies of the field.” The people were worrying about material things like food and clothing, and Jesus explained that, just as the Father clothed the flowers in beautiful array, so would He take care of the daily needs of His children. King Solomon had to work to put on his glorious robes, but the lilies had only to trust the heavenly Father for theirs. Well my dear friends, if Lily of the valley already embedded very well in our hearts? Does the sweetness of His love fill our heart with joy? If it is, we have to keep and care Him with wholehearted as He was watches over us and gave a tremendous joy in our hearts. 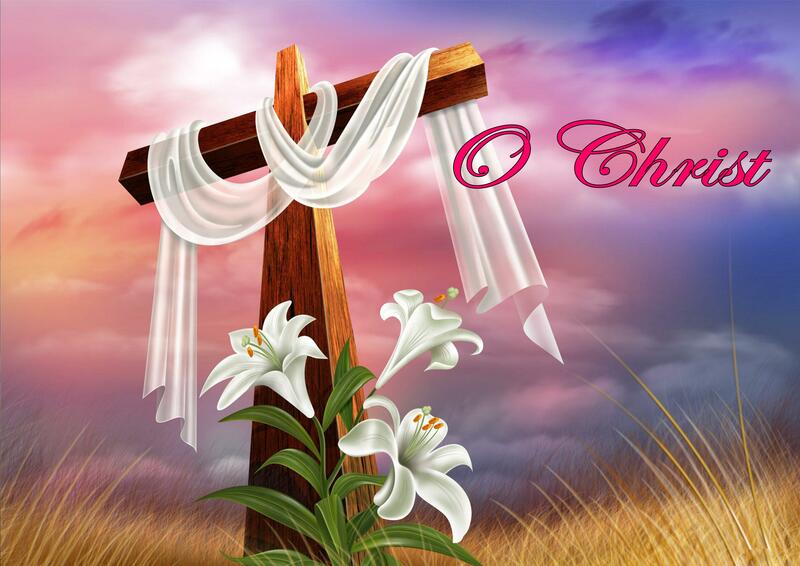 Dear God in Heaven, Wonderful, merciful Savior, how I thank you for loving me and meeting all I needs. In you I feel complete. Amen. One day I decided to quit…I quit my job, my relationship, my spirituality. I wanted to quit my life. I went to the woods to have one last talk with God. “Then in the fifth year, a tiny sprout emerged from the earth. Compared to the fern, it was seemingly small and insignificant. Both of them are essential to life.